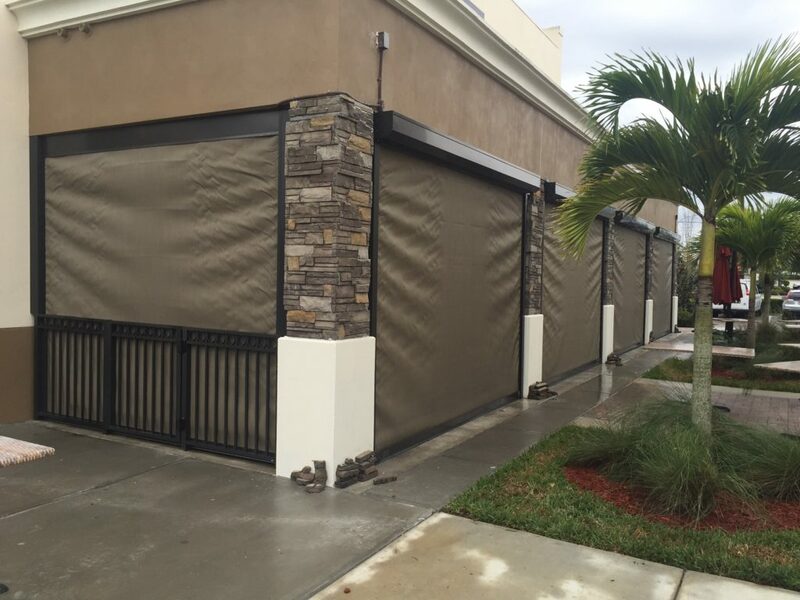 Custom Hurricane Products, Inc is a Bradenton-based manufacturer of hurricane screen and shade screen products. They have the capability to create screens for an opening as wide as 32’, which is ideal for large lanais. To set their products apart from others, Custom Hurricane Products, Inc. uses Tenara thread, which has been shown to hold up better than polyester thread. The company has two products that are Florida build code rated: SuperMax and EzMax. SuperMax is a retractable hurricane-rated product. It operates with the click of a button It was designed to be used in a high UV environment without compromising its hurricane strength. EzMax is a removable hurricane product, which is deployable prior to a hurricane. You can easily fit the shutters a few bags to store, which is a huge space saver. Why Choose Armored Dade Windows & Shutters for Custom Hurricane Product, Inc.
Because both companies are located in Bradenton, we have a special relationship. We’ve been selling and installing Custom Hurricane Products, Inc. screens for years and have seen how well that withstand strong winds. We also don’t see many manufacturers that can produce products in such a large width, so we always have a solution. Learn more about Custom Hurricane Products, Inc. offerings by contacting us today. Get your home hurricane ready.